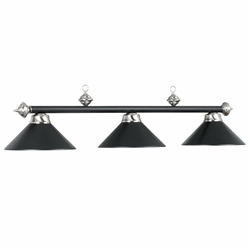 All Metal / matte black 3-cone light Billiard Fixture, Black matte bar with Stainless finial accents, Black matte shades, Good size for 7ft. 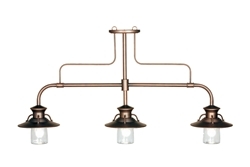 and 8ft. 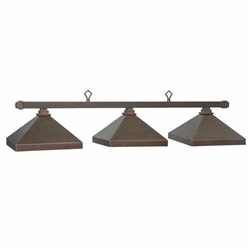 pool tables. 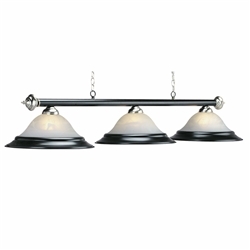 Traditional Metal Light Fixture features Matte Black with stainless accents and 3- frosted glass Shades with Break - away metal edge trim. 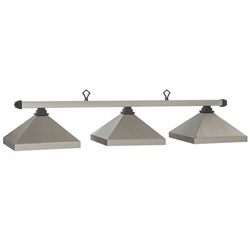 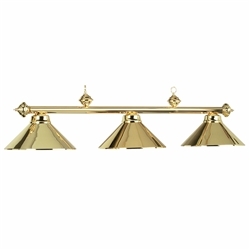 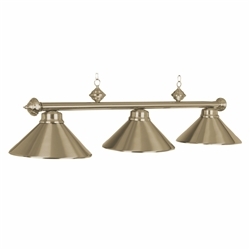 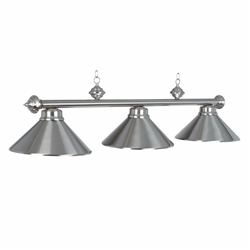 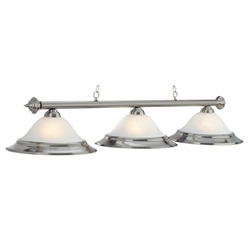 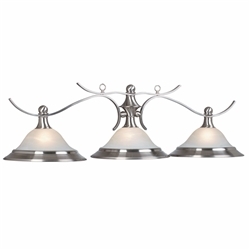 Traditional Metal Light Fixture features Stainless Siver finish and 3- frosted glass Shades with Break - away metal edge trim. 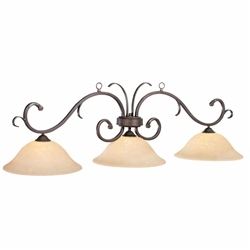 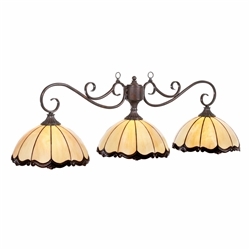 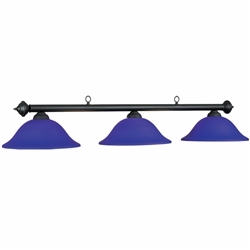 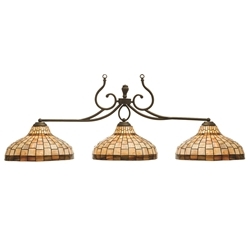 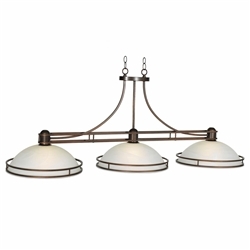 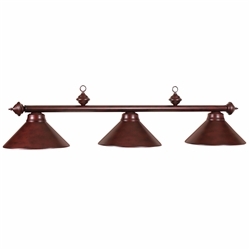 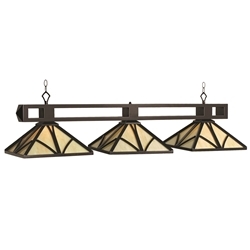 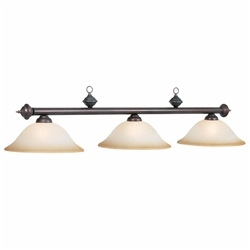 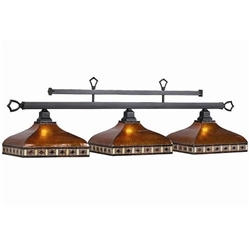 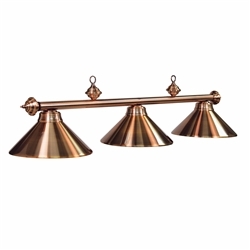 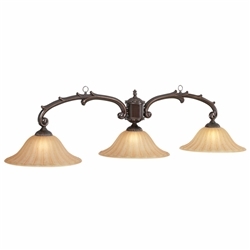 Traditional Metal Light Fixture features oil rubbed bronze finish and 3- frosted glass Shades with Break - away metal edge trim. 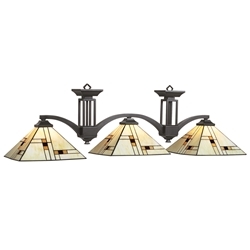 Cosmopolitan Billiard Fixture - Bronze finish frame, white frosted glass shades, contemporary design. 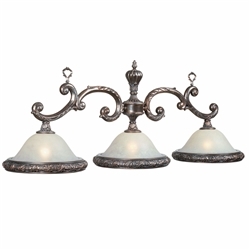 This weathered bronze light has european style with carved details throughout. 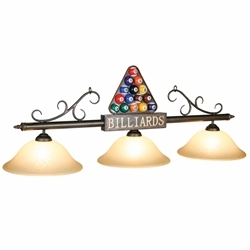 This billiard themed bronze light has colorful pool balls, triangle with Billiards text affixed to the bar. 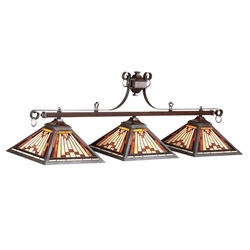 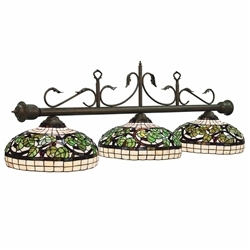 This Billiard Room theme, 3 - Quality stained Glass Shades Light Fixture features multi colored details. 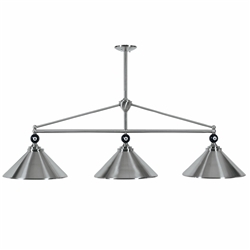 Contemporary Metal Light Fixture features Stainless Siiver finish and 3- frosted glass Shades with Break - away metal edge trim.